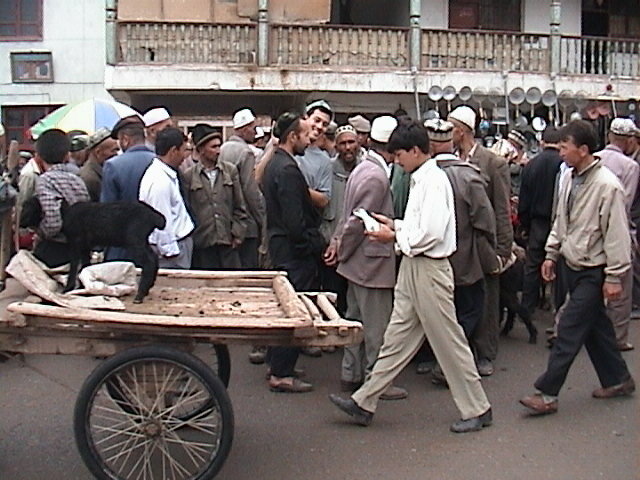 Kashgar's population swells by 50,000 each Sunday for the locally famous Sunday market. We waded through a sea of pedestrians, donkey carts, bicycles, bleating goats, mooing cows, and the people shouting "boish! boish!" (coming thru!). We watched farmers buy livestock, test-ride ponies, shear sheep, and trade cows. The market was pandemonium. We didn't buy anything, except a hat which was as prolific here as baseball caps are in America. This cap is worn by Muslims and must have had religious significance at one time. It's interesting to note that American headwear is generally sports driven while many other countries wear such things for religious purposes. 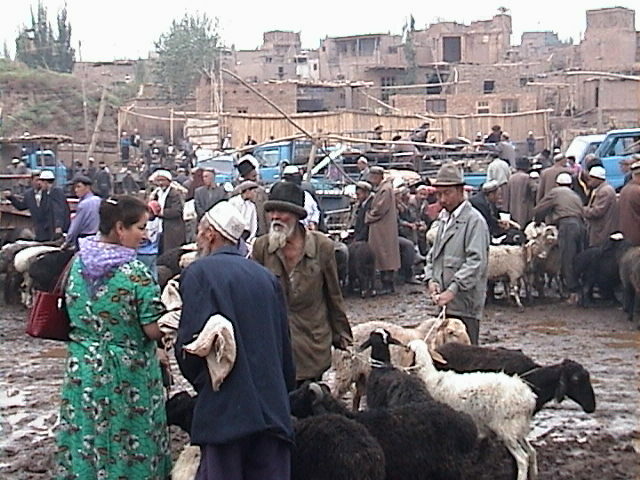 Uyghur people buying/trading sheep at the Sunday market. Another "Can you find the foreigner?" picture. With that hat I could pass for Uyghur. 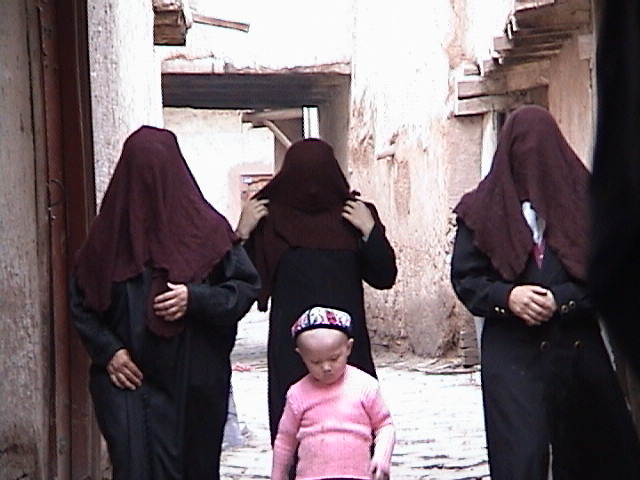 Fully veiled Uyghur women can be scary in a dark alleyway. How can they see?